Officially known as”Pearl of the Oriental”, more and more expats are choosing Penang as their second home. According to the travel magazine – Condé Nast Traveller, Penang is in the top 10 in a list of best destination for retirement. Penang state offers island living in a city rich with a thriving art scene and historical architecture and great foods from town area – Georgetown to the beach paradise of Batu Ferringhi. Apart from that, there is also provide the well-established international schools for the expats. Besides, the government plans to develop the Northern Corridor Economic Region (NCER) which is targeted at both social development and economic standards of the four northern states (Penang, northern Perak, Kedah and Perlis) and many high-profile projects have already been earmarked for Penang state. The developers too have very high expectation of Penang competing for foreign investment under Malaysia My Second Home (MM2H) programme. Johor is a mix of modern culture, urban settings and coastal life and this place is the third-largest state in Penisular Malaysia, Johor as well as the neighbor of Singapore. Besides, It is almost impossible to talk about Johor’s fortune and investment potential without making reference to the special economic region of Iskandar Malaysia. The Iskandar Region is a major government initiative to attract foreign investment. Larger than Singapore, the area has residential and commercial hub, campuses of international education institutions and entertainment zones. It now has the first Legoland in Asia, which launched in 2012. Ultimately, it would be a great opportunity for real estate investment in anywhere of Iskandar Malaysia. The capital cities of Kuching in Sawarwak and Kota Kinabalu in Sabah have been experienced raising property prices that matched the appreciation in Peninsular Malaysia. The new 1000km Pan Borneo highway in Sabah is one of the example of how the landscape of the east Malaysia is changing rapidly. Property developers have reacted to demand by launching some new projects for expats who are looking for exotic products under MM2H for investment purposes. Karambunai Peninsula and Kota Kinabalu are the famous areas for investors looking to invest. Besides, Kuching is also have a centre for medical tourism, a number if universities, renewable energy hub in the Sarawak Corridor of Renewable Energy (SCORE) area, which is one of Malaysia’s five economic corridors that focus on develop the energy sector in the state in order to gives Kuching the satellite towns plenty of impetus to grow. 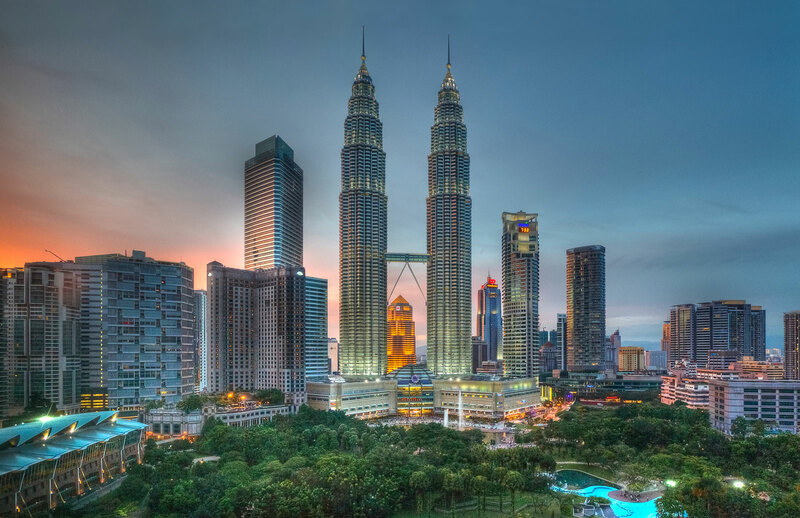 The capital of Malaysia, KL is the eye of Malaysia where all major large event will take place here. A city of approximately 1.7 million people, KL has build some houses for expats to stay in and most of luxury high-rise condominiums are located at Kuala Lumpur City Centre (KLCC). There are thriving commercial hub throughout the city with abundant opportunity for shoppers and world-class restaurants as well as humble hawker stalls. Kuala Lumpur hold the highest individual expats’ real estate transaction in Malaysia. Selling your property to potential buyers would be much easier, it can narrow your risk exposure. With Iskandar Malaysia holding the spotlight in the South, it is quite easy to miss out on other investment areas such as Melaka. Melaka is a beautiful as well as UNESCO world heritage site.